The secret garden is across the stream and through the old, twisting beech arch. If you can find it, and if you look very hard, you might see a small squirrels whiskered nose peeping out of a little old bucket, or a bright bushy tail whisking around the old fork…. ….for this is a magical place, an otherworld where the woodland creatures come to play.You will meet Mr & Mrs Gunther, Isabella, Molly and the rest of the little clan of Scottish red squirrels; and all their charming friends. 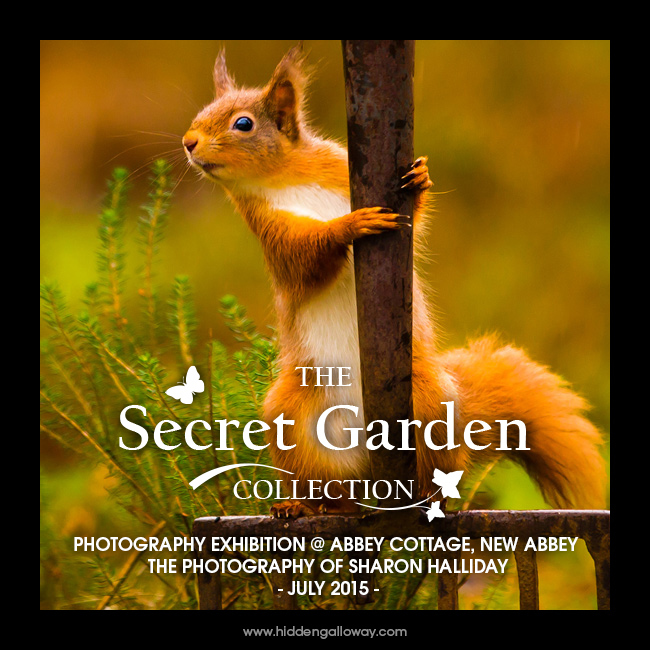 This whimsical collection of images is your key to their secret garden, and you are invited to share it with me.